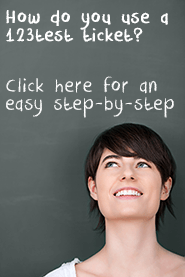 Purchasing an extended test report for someone else is easy with 123test tickets. You buy 123test tickets online and give them out when, how and to anyone you want to. Besides making a perfect present, tickets can be used in businesses. It's easy to purchase a bundle of tickets which you can then give out to your clients or a team of co-workers. Every ticket consists of a unique code which will start the test chosen by the ticket buyer. Only the person actually using the ticket has access to the test results. Privacy is a guarantee with 123test. After payment, you'll receive an e-mail with your purchased ticket codes. You can then distribute these codes to whom, how and when you like. Please make sure you notice which code starts which test. This is indicated in the e-mail you receive. Using the form below you can order any amount of tickets you like for specific tests. You can enter the recipient's name or leave the field blank for anonymous tickets. If you'd like to order larger quantities, please contact us through info@123test.com.